The Corrector Pen has everything you need for a nail emergency on the go. The corrector pen repairs nail polish mishaps. The cuticle pushing cap prepares your nails before applying nail polish. I have one of these and it makes painting nails in a rush a stress-free exercise. 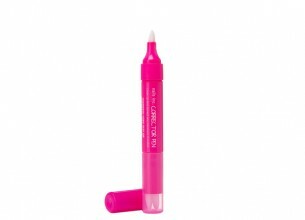 Just use the correction pen to remove unwanted nail varnish or to correct mistakes, and you’re all set to go.